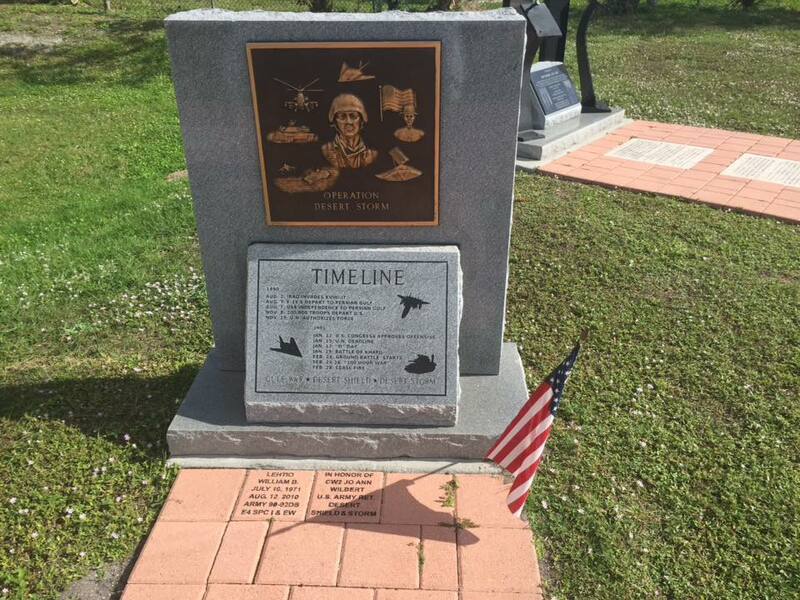 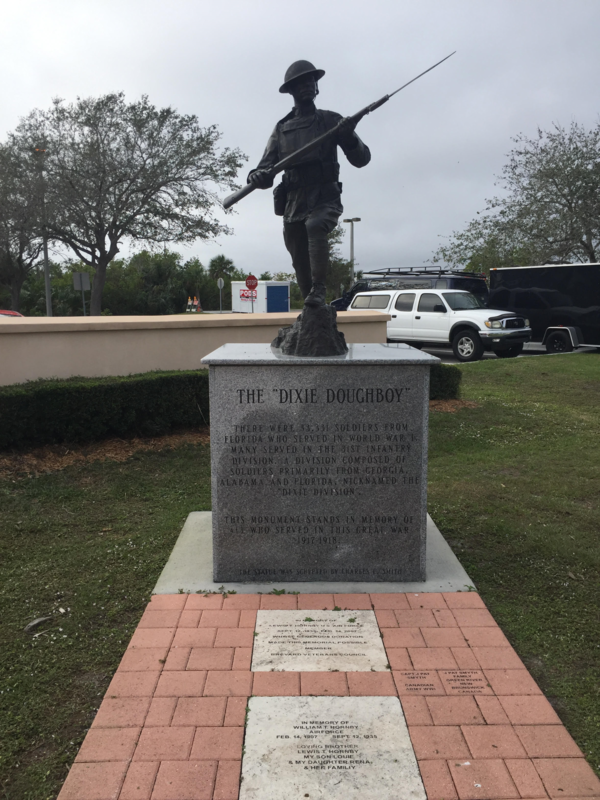 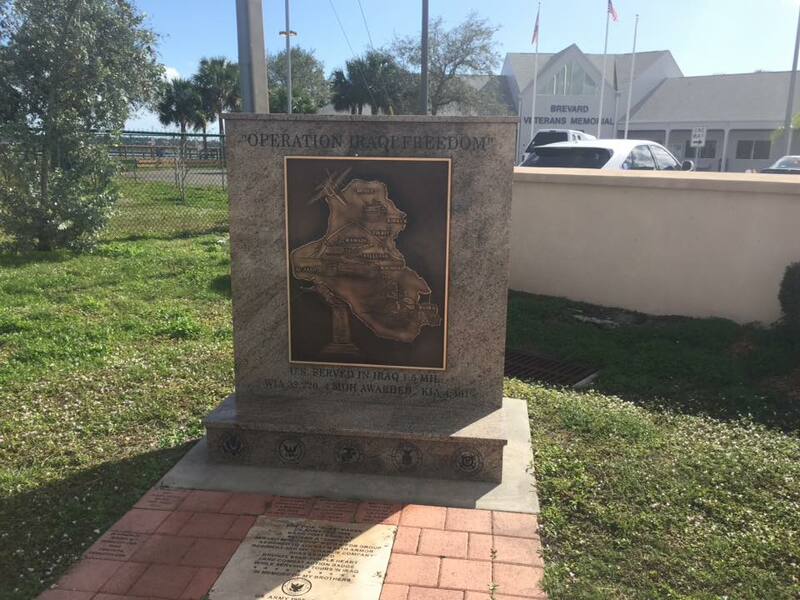 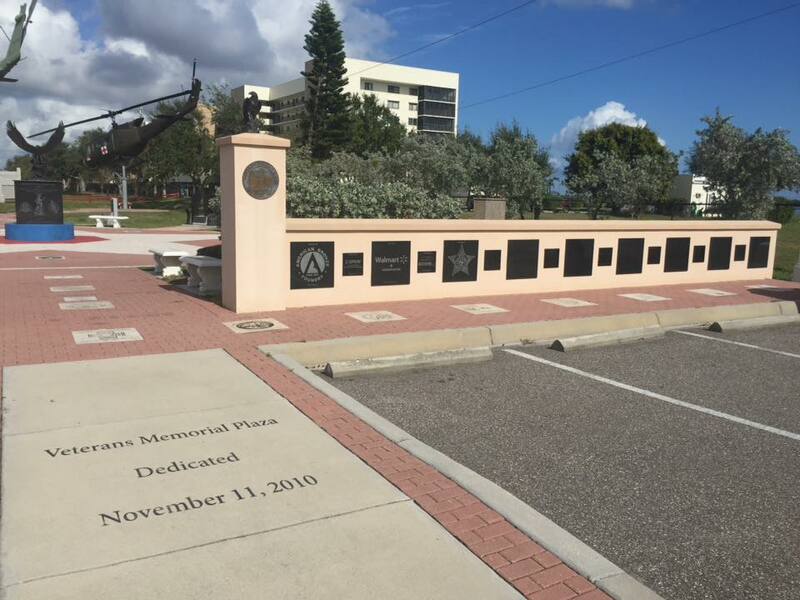 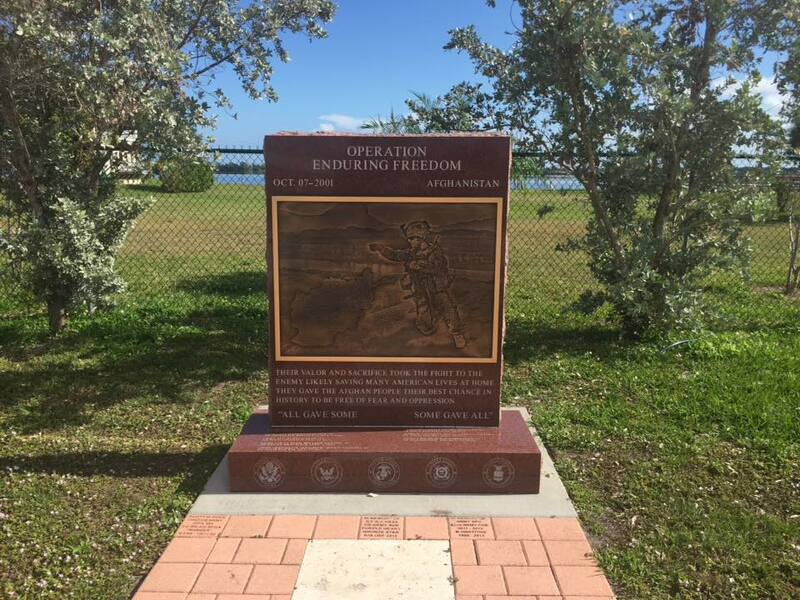 Our Veterans Memorial Plaza is both a tribute in monument form to all veterans from all wars dating back to before American Independence all the way to monuments to those who are serving and have sacrificed in Iraq and Afghanistan. 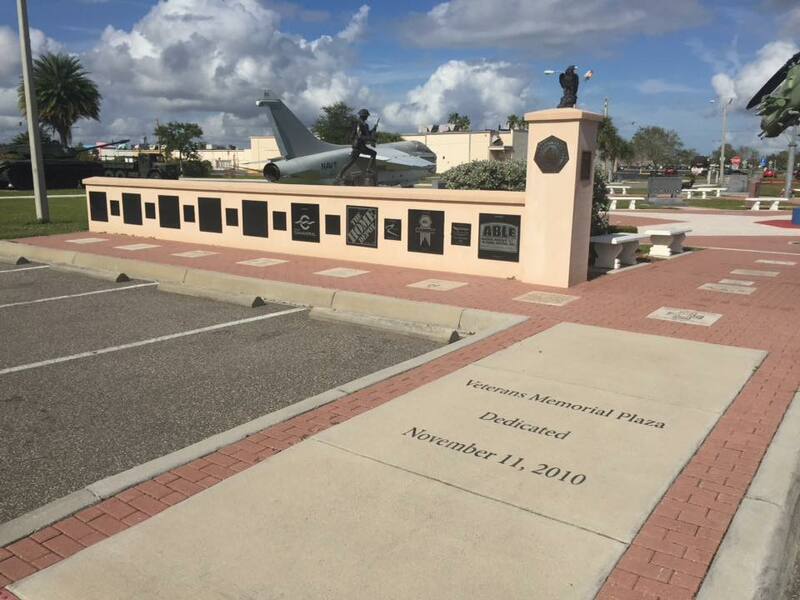 The Plaza was dedicated on Veterans Day 2010 but began many years before that. 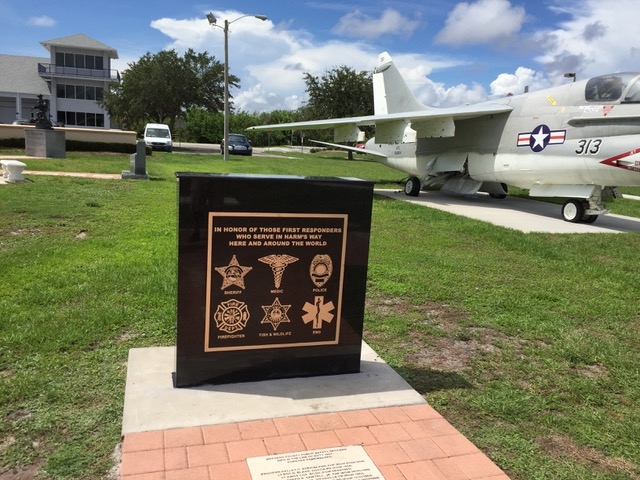 It is a place that includes so much — the names of the fallen, bricks for those who served, monuments for all conflicts, places to quietly reflect on sacrifice and … some great examples of armor, vehicles, a fixed wing navy jet fighter and two helicopters, one of which actually flew missions the last two days before Saigon fell in April of 1975, ending American involvement in that conflict. 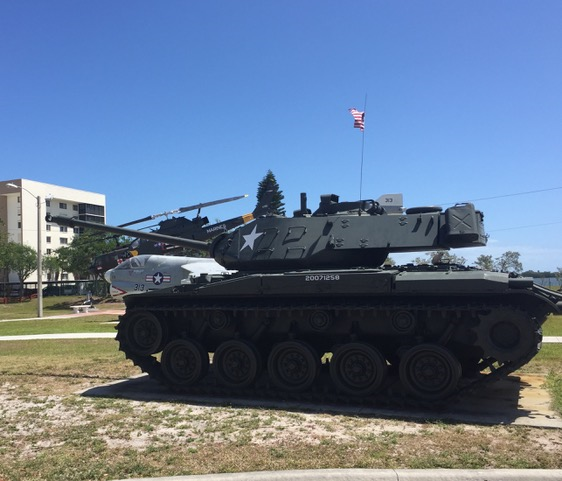 There are melodic wind chimes, a few cannons, an anchor from a WWII liberty ship and more items from our museum are planned for the current Plaza and a new companion Plaza nearby which will eventually house the famous Vietnam and Iraq/Afghanistan Moving Walls. 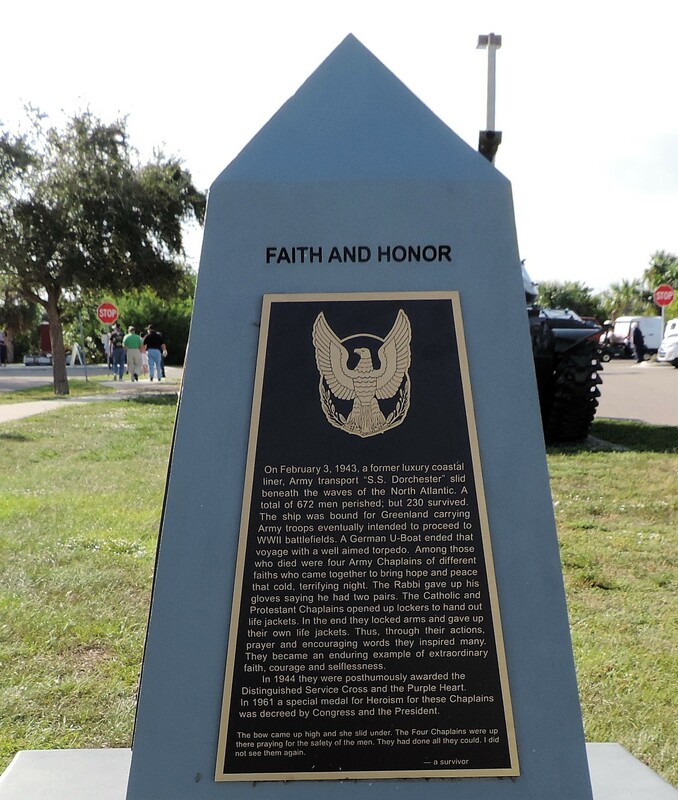 Our oldest artifact is a Revolutionary War cannon which is part of the monument to the last naval battle of the Revolutionary War fought off the coast of Cape Canaveral. 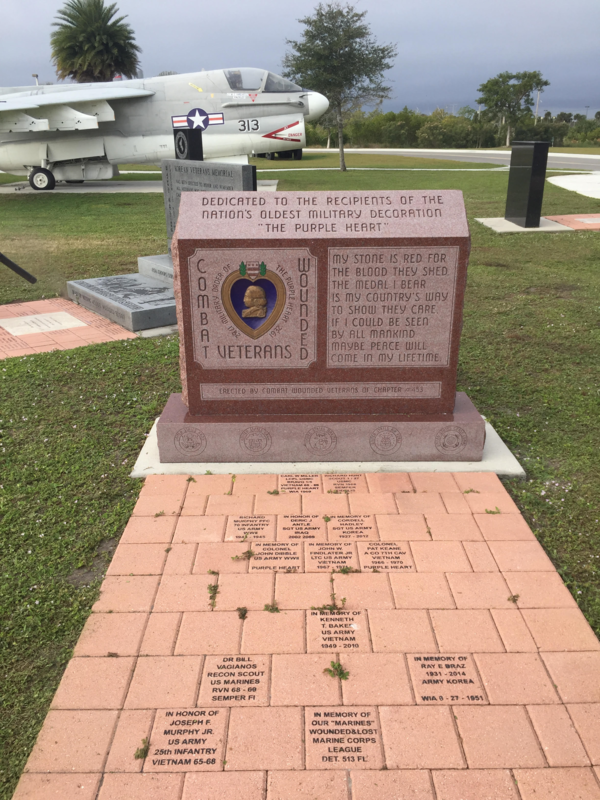 The Plaza is a very special plaza to visit, wonder, reflect and honor what veterans have done as groups and as individuals to protect America from its conception until today. 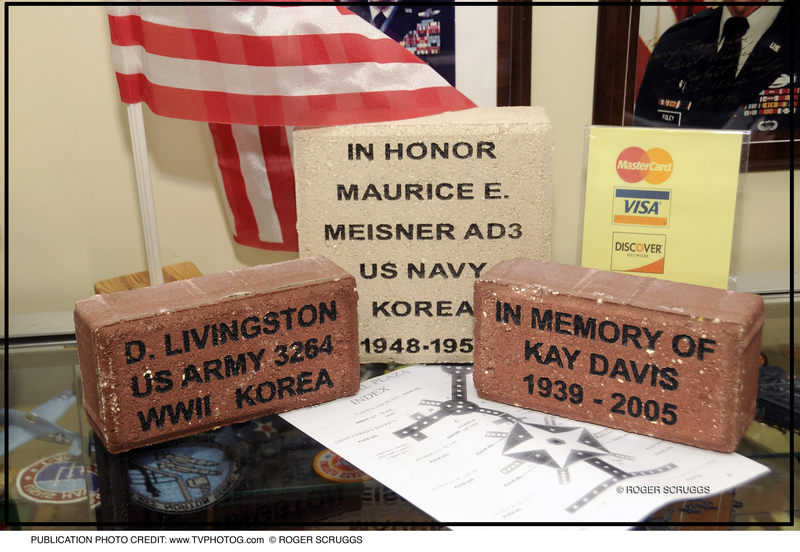 MEMORIAL BRICKS: Individual bricks in two sizes are available for purchase at $100 and $175 respectively to honor and remember your relatives and loved ones who have served in the military or to anyone you want to honor by placing their names among other American heroes. 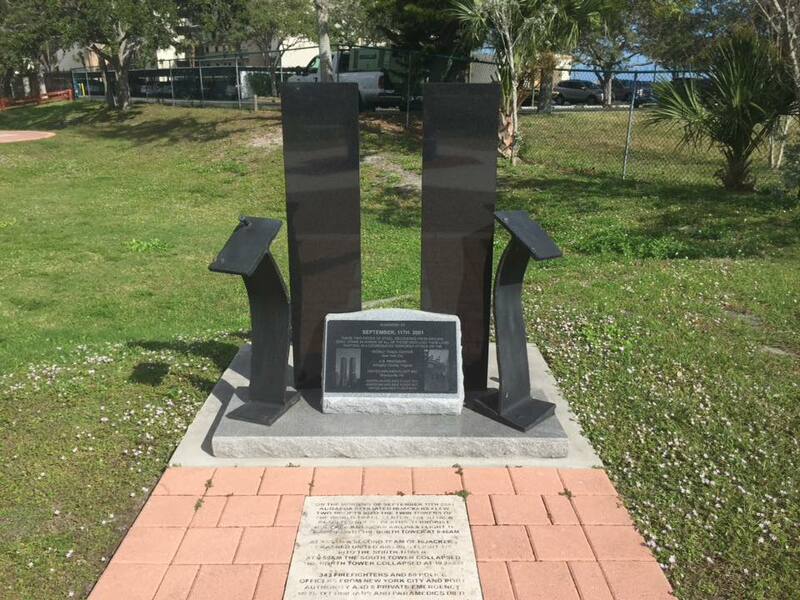 In addition, benches at $1,200 and large marble markers at $1,000 are available for engraving, in special cases. 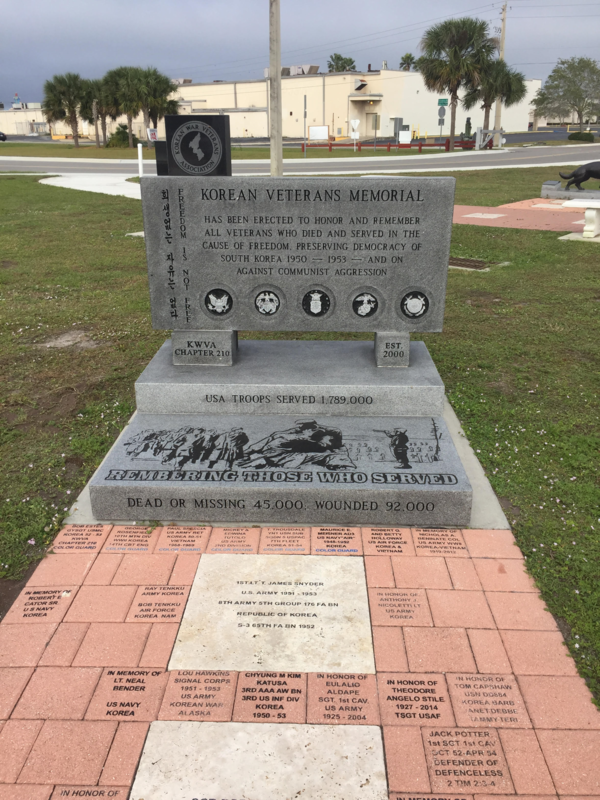 The bricks are organized by military service, by conflict era and by unique service. 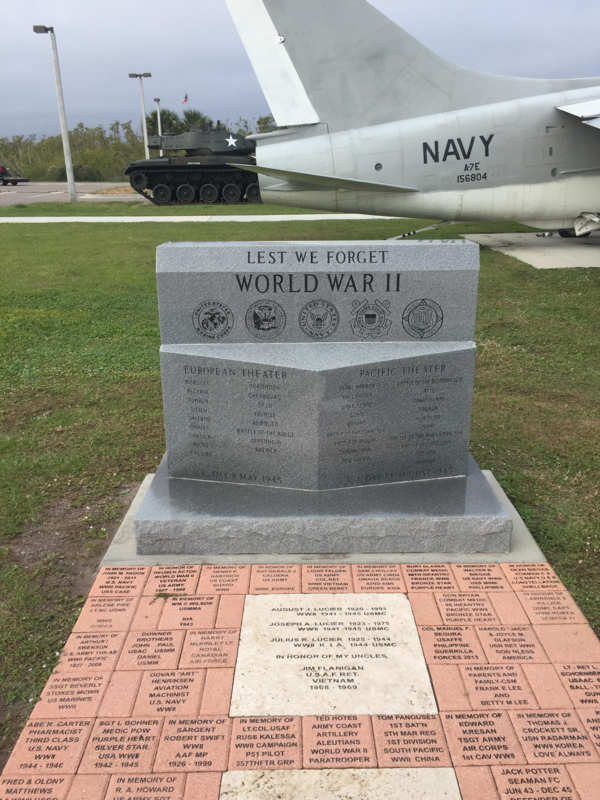 Brick order forms are available every day at the Memorial Center where the Manager on Duty will assist you in completing the application or you can download the form here, MEMORIAL PLAZA BRICK ORDER FORM , and return it to the Center. 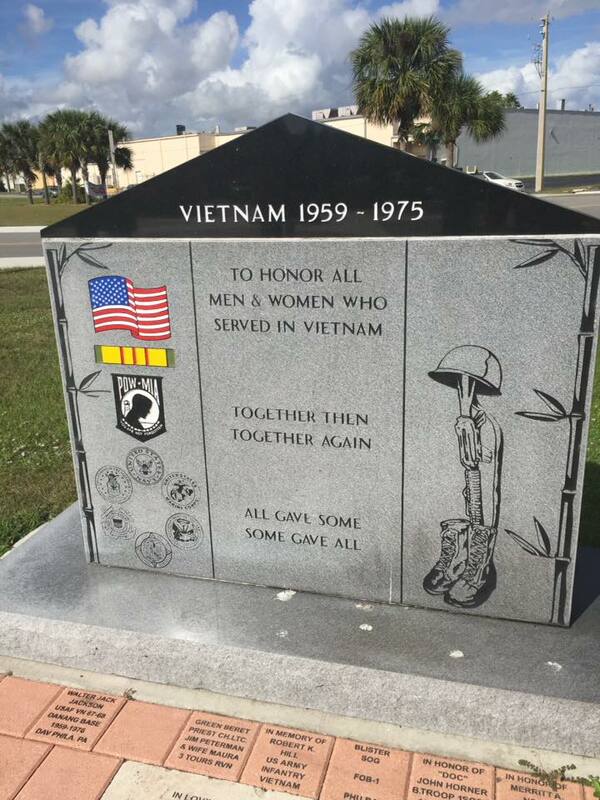 This tradition goes back many years and will be a permanent place to have your loved ones forever remembered. 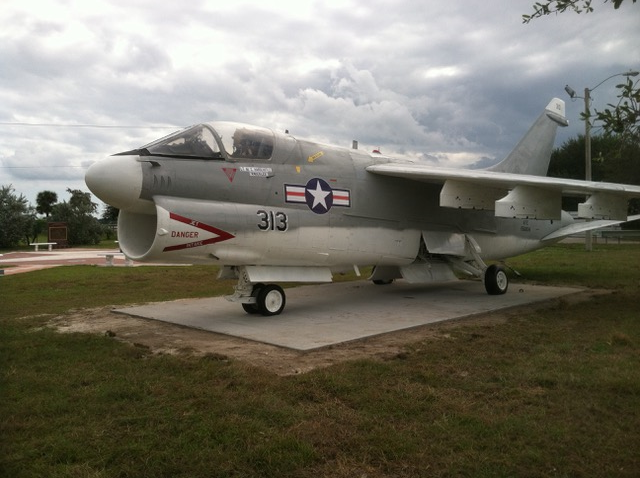 ADOPT AN ARTIFACT: If your group would like to help maintain one of our major artifacts in the plaza, such as the jet or vehicles, please contact Bill Kowalczyk at the Center. 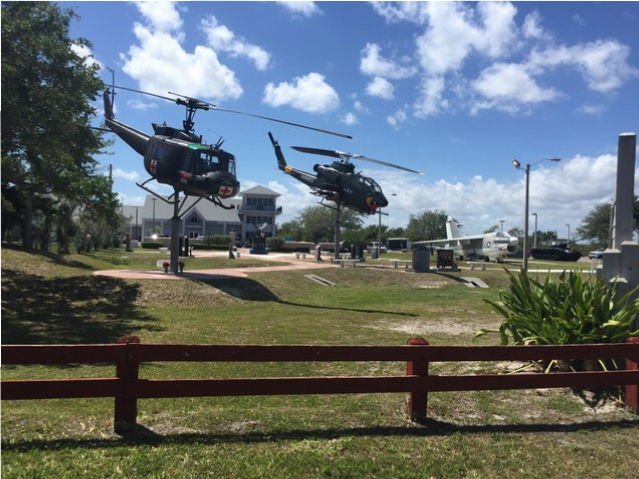 We would welcome your assistance!